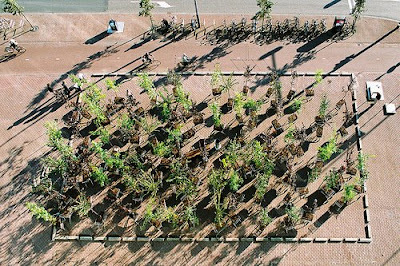 The Moving Forest are 100 trees strapped into 100 shopping-carts lurking around in an urban environment blocking peoples way and forcing passers to act on them. According to NL’s Gen Yamamoto the idea comes from a story he heard as a child about a forest where the trees move at night so that people would loose there way and could never get out. 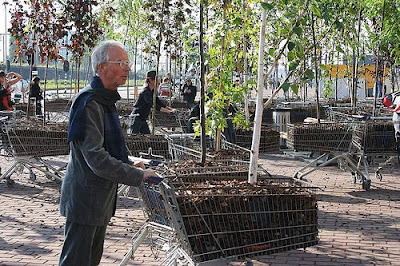 After the period of 6 weeks when the festival is over, the trees will be sold on to citizens and find a new home. rebel:art has more images, as does Urban Play curator Scott Burnham, whose entire Flickr collection is remarkable.